Plunges you into an all-out galactic war to take Earth back from a nearly unstoppable foe - and how you fight that war is entirely up to you. 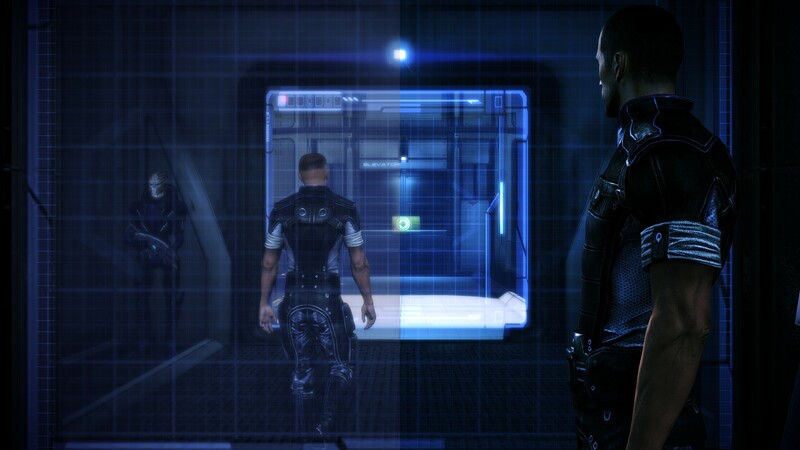 ENB and SweetFX for Mass Effect 3. This is a Place and Play, no adjustments required. Reshade and SweetFX version Nexusmods.com? To Install: File updated for Win10 compatibility. C:\Program Files (x86)\Origin Games\Mass Effect 3\Binaries\Win32. After the mod is working. Try the following to determine your preference. Goto Documents\BioWare\Mass Effect 3\BIOGame\Config and edit the GamerSettings.ini. Under [SystemSettings] add the line DepthOfField=False. This will effect bloom and radiance. False can also look clearer for some., alter between true and false to determine your preference. For higher resolution settings, use Interface Scaling Mod by Mgamerz Nexusmods.com? Nvidia Users. Enable DSR in your Nvidia control panel (as shown here), under the global settings. (I checked all the boxes to allow for all the resolutions). ATI Users: Enable VSR here. Make this alteration to Mass Effect 3 settings.txt in the sweetFX\Preset folder. Change the define USE_SMAA_ANTIALIASING to 0. If game has performance issues or microstutters. This is meant to enhance the overall game. Use the Sweetfx/Presets/Mass Effect 3 settings.txt file to alter settings. Use PauseBreak to enable/disable effects. Using the Printscreen, will generate ingame screenshots. They can be found placed in the game folder, where the files were placed. Use FastStone Image Viewer, to convert them to jpg or other formats. Alter ENB and SweetFX settings as you like. Full ENB Download available here. Full Sweetfx Download available here. For further information check here. Origin ME3 is known for a game install error that can prevent it from running, to fix it, do the following. Goto C:\Program Files (x86)\Origin Games\Mass Effect 3\__Installer\directx\ and create a folder called redistcabs. Go into the directx\redist folder and select and cut all the .cab files out of the folder, then goto directx\redistcabs and paste the .cab files here. Go back into the directx\redist and run the DXSetup.exe. Lastly, open Origin and hit the install on the Mass Effect3, it should take a few seconds and then say the game is ready to run. Your game should run now. Setup game, then apply mod. If you have any further issues, run a repair on the game and this will correct it, including stalled dlc and black shadows, due to the original DX failure. If you experience issues with the ENB D3D9 try this: CTD, Graphics issues. Replace the d3d9.dll with one of the alternates provided in the altd3d9 folder. Updated version contains DXGI files. Files should work with all Windows versions. Nvidia users can use this mod (Thanks to khalilsm) to allow the mod to run if you have any issues. Rename the d3d9.dll that came with this mod to d3d9orig.dll and place the d3d9.dll from that mod with it. Thanks for enb by Boris Vorontsov. Thanks also to Mod DB and the Mod DB Community. This can be used in combination with any texture packs or add-ons. To make adjustments to ENB, alter the enbseries.ini configuration settings file, found in the main folder. To make adjustments to Sweetfx, go to \SweetFX\Presets and alter the Mass Effect 3 settings.txt file. The default settings file is located in the main folder, SweetFX_settings.txt. However, it is not used for the settings as the SweetFX_preset.txt file is directing it to the presets folder (alter to match, if you make change to location or name of settings file). I hope you find these programs and adjustments helpful at making your Mass Effect 3 game more enjoyable. many of them are interchange-able, download the mass effect 2 version and take the d3d9.dll from it, as well being on win10 you need to delete the dxgi.dll and dxgi.fx files from the install.